We offer great windows and doors paired with great installation. 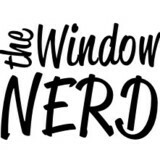 We are a specialty contractor focused on one category, and that's what makes a us Window Nerds. We source multiple great brands and material types and bring them to you with a low key no pressure sales approach so you can make the best decisions for your and your home. *Authorized StarMark Cabinetry Dealer* *Authorized Dealer of Andersen Windows & Doors* We are a family owned and operated retail building serving the Shore Community since 1931. Specializing in the custom renovation environment, our team provides expert and timely service with professional and considerate management in residential projects. Our mission is to assemble your ideas into unique and efficient designs that energize and support your lifestyle. We are known for always working for our clients and constantly building positive relationships. Come visit our new Artisan Kitchen and Bath Design Studio and ask us how you can save 3.5% sales tax. 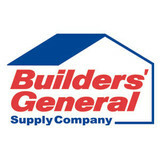 Builders' General has five locations, each with an expert kitchen design team ready to make your dream kitchen a realty. Contact any of our Design Studios, Little Silver, Long Branch, Toms River, Freehold and Edison, New Jersey, to arrange a no fee appointment. Enjoy a session with an experienced designer and unfold the possibilities of your ideas. Our studio services include unique and expansive series of site specific designs with comprehensive and detailed project cost analysis and consistent performance. Cabinetry Manufacturers include: Plain & Fancy Aristokraft Cabinetry Starmark Cabinetry Fabuwood Kitchen Craft Cabinetry HomeCrest Cabinetry Cabinetry by Decora Cabinetry by Diamond Our history in the area has served builders, homeowners and contractors as your one-stop source for a complete line of building products and services with competitive pricing, quality products, and reliable service with a hard work ethic and honesty. Our retail locations are also located in Little Silver, NJ - Long Branch - Toms River, NJ - Edison, NJ & Freehold, NJ. 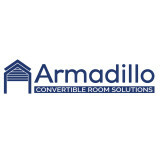 Armadillo is an innovative company with a new approach for residential living. We call it convertible room solutions. But rooms aren't the only solutions we offer. Armadillo rollers are a breakthrough in technology for privacy, protection and expansion. We've taken a product concept and adapted it in many ways to create an entire product line. We offer rollers for your windows and doors, and rollers to create an entire FlexRoom™ including a roller Gennius awning! Your FlexRoom™ remains up the entire year so you can enjoy the convenience of adaptable walls. Don't spend money on replacing windows and doors, let us fix them for you so you spend your savings on a relaxing vacation. Our team has more then 18 years of experience in repair, service and installation! Proprietor Sam Awadalla is a third-generation craftsman proud to be working in the field of high-end residential remodeling and design. Having studied business in college, and also receiving certification as a Journeyman (the industry term for “Master of Carpentry”), in 2003 Sam launched his first company, 360 Degree Construction, which specialized in the installation of window and door products from Marvin and Pella. 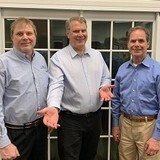 Wishing to apply this niche to the design aspect of residential construction, in 2010 Sam established 360 Design Center to serve as a licensed, trained, and insured showroom resource for Marvin and Pella Window and Door products. The company’s services were further expanded in early 2015 when Sam added a garage door sales and installation division to the Center featuring premier offerings from C.H.I. Overhead Doors, Amarr, and Clopay. Sam is involved in every aspect of every project he undertakes, and is assisted in his efforts by a team of dedicated, experienced professionals who share his commitment to excellence, passion for design, and a strong work ethic. Please call or stop by 360’s newly-remodeled showroom on Route 22 in North Plainfield to discuss your project. Sam and his colleagues look forward to helping you! Revolutionary window company, servicing the Greater Philadelphia area (Southern NJ and Northern Delaware) that gives FREE estimates online in minutes. NEVER deal with a sales person! No money down, EVER! You don't pay until your windows are installed. We make purchasing windows for your home EASY & AFFORDABLE. Our goal is to make it ridiculously simple for customers to get great windows. No pricing games. No endless hi-pressure sales pitches. Just great windows, installed at a great price, without any of the sales games. Thermal Sash Window and Door Systems, Inc. Contact Thermal Sash Window and Door Systems in Chester Springs Pennsylvania for all your Screen Room Conversions, Retractable Awnings, Replacement Windows, Patio and Entry Door needs! Since 1994, Tower Windows and Doors, Inc. has been the premier distributor of custom windows and doors in New Jersey. We offer a vast array of custom window and door options that give a stylish, sophisticated look to any home or building. Location #1 - 961 Rt 10 East, Bld 2-L - Randolph NJ 07869 Location #2 - 604 2nd Ave, Unit 4 - Long Branch NJ 07740 (3.5% UEZ) - Norwood Windows and Doors (On Display) - Andersen Architectural Collection Windows and Doors (On Display) - Weather Shield Windows and Doors (On Display) - Lincoln Windows and Doors (On Display) - Interior and Entry Doors (On Display) Tower Windows and Doors is the only stop you will need for all your design, pricing, and product questions. Our showroom facilities in Randolph and Long Branch are the perfect locations to get information and purchase all windows and door accessories to successfully complete any project. Our factory-trained sales people work closely with every architect on each project to ensure that the result is elegant and created just as it was planned. Since 1973, Windows We Are, Inc. has been serving its community with quality workmanship and energy-efficient windows. We have been a cornerstone business in our Bay Ridge, Brooklyn neighborhood for over 40 years. For the last 10 years our goal was to be the leading LANDMARK window specialist and I believe we are! Window We Are, Inc. has over 10,000 windows in stock for contractors or the handy homeowner to pick up and install themselves. We also, offer professional installations throughout Brooklyn, Manhattan, and Staten Island. We have the largest stock of windows in the NYC area. Our own installers installed 9500+ Windows last year and growing! 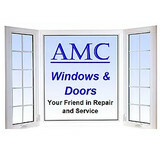 Our goal is to meet the window needs for all our customers residential or commercial. Not only do we have a large selection in stock, we offer an even larger selection of windows that can be custom-ordered. Ranging from vinyl, aluminum, wood clad and all wood windows. Most of our work comes through recommendation by our satisfied customers. That’s the way we built this company by being honest, hard-working, and with the respect of all our customers. We will treat your home as if it was our own home by being neat, clean, and guarantee a good job! The Men With Tools Home Remodeling provides and installs quality windows as well as entry and patio doors.We serve New York City & New Jersey. If you're looking for a professional and reliable company that specializes in those areas call us for a free estimate. Our promise: You will receive prompt communication, easy and accurate quotes over the phone, zero sales pressure, competitive pricing, a full consultative approach when dealing with our staff, a guarantee to stay on budget, an outstanding installation experience and a clean job site. For over 35 Years AirFlo Windows specializes in Landmark Approved, Weight & Chain and Wood Replacement Windows for Residential, Commercial and Institutional Projects. AirFlo Windows has been serving the metropolitan New York City area in the Residential Brownstone and Co-Op market since 1976. AirFlo was awarded the contract for the fabrication and installation of Custom Wood Windows for the Jewish Museum in 1991. We continue to enjoy a sound working relationship with the New York Landmarks Preservation Commission for which we have initiated thousands of permits over the past 35 years. Our family-owned fabrication facility, located in downtown Brooklyn, uses only the finest, custom hardwood, with which we produce exceptional, historically correct mortise and tenon windows and doors. An added feature is our ability to produce associated casings, moldings and trim. AirFlo's expertise as installers of wood, aluminum, steel and storm windows as well as solariums has given us prestigious position within the trade. We are a full-service company specializing in providing our customers with, permit applications, engineering, manufacturing, and installation. Our dedicated craftsmen, professional installers and constant attention to detail are what separates AirFlo from the competition. There is no substitute for experience! Whether you’re building a new Newtown home, remodeling an old one or just replacing a few windows that are past their prime, your window dealer in Newtown, PA will help you pick the right windows for your needs, home style and budget. Windows come in so many sizes and types that expert advice and direction is invaluable in helping you make the best decision. These pros can also help you with custom window designs that complement your space better than something ready-made. Lastly, if you are interested in doors with windows, these experts are also knowledgeable about sliding doors, French doors and other paned portals. Your window pro might work closely with other Pennsylvania builders and remodelers as well. Here are some related professionals and vendors to complement the work of window sales & installation: Window Treatments, General Contractors, Home Builders, Specialty Contractors, Siding & Exteriors. Find a window dealer on Houzz. Narrow your search in the Professionals section of the website to Newtown, PA window dealers. You can also look through Newtown, PA photos to find examples of windows that you like, then contact the window professional who worked on them.